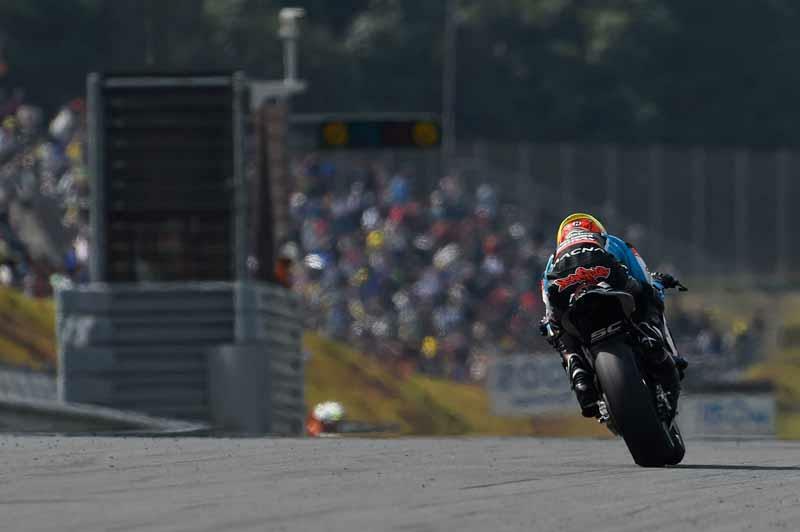 The IODA team has confirmed that Alex de Angelis has fractured five vertebrae and three ribs during his crash in final practice today at Motegi. The San Marino rider crashed heavily at Turn 9 and the session was immediately red flagged with medical teams tending to the rider before he was airlifted to Dokkyo Hospital. “Alex De Angelis as a result of the crash during the Japanese GP FP4 reported a strong head injury for which he was transferred by helicopter to the Dokkyo University Hospital near Tochigi,” read the statement. “Doctors at the hospital have undergone a CAT which highlighted the slight fracture of five vertebrae and three ribs. “At this time Alex De Angelis is making all the routine tests while the orthopedic Dokkyo University Hospital excludes any spinal cord injury. Probably Alex De Angelis, who does not remember because of the head injury dynamics of his accident, will be transferred to Italy during the next week. More news will be delivered as soon as available."